BRM's monthly "This Day in Wrestling History" review series returns to TNA for the first time in seven months, and we pick it up seven months after we last left off. 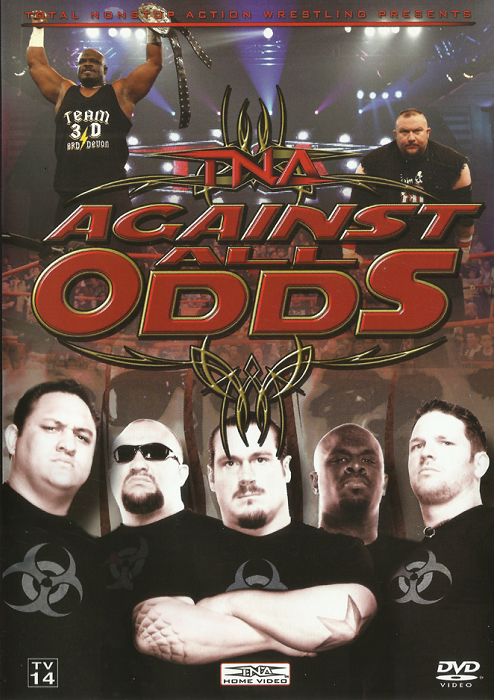 Join us as we watch both of the Dudley Boyz go for the TNA World Heavyweight Title (along with Kurt Angle and champion Sting) in the main event of Against All Odds 2009. MAIN EVENTERS ARRIVE FOR THE SHOW - Good tone-setting. We opened the show with shots of the wrestlers in the main event all arriving at the building. First we saw Kurt Angle arriving with every member of the Main Event Mafia except for Sting, then saw Team 3-D arriving together, then saw Sting arriving on his own. This was (especially when combined with Tenay's commentary) more than a little blunt, but I still enjoyed the symbolism. That said, I probably would have enjoyed it a little more without Tenay beating the point into our skulls. These guys were having a very good match until the utterly bizarre finish. The match was built around two different stories: Shelley working over EY's midsection, and Shelley continuously thwarting EY's attempts to hit the Death Valley Driver. After much teasing of it throughout the match, EY eventually managed to hit something resembling a DVD where he had Shelley up on his shoulders on the second rope and came off, sending Shelley's face into the top turnbuckle... and then EY all of a sudden distracted himself talking to the referee for a long time, allowing Shelley to recover and roll him up from behind for the clean win. Tenay pushed the idea that Eric "lost his concentration" and if that's your idea then that's fine, but you've got to come up with a way to set up a finish based around that point that doesn't make Eric look like an idiot. JEREMY BORASH INTERVIEWS KURT ANGLE - Bad. This was mostly Kurt repeating various points that had been made on Impact already. You don't need to sell us the PPV that we've already bought. The only line of real value here was Kurt's final line in which he claimed that no matter who tonight, the Main Event Mafia would leave stronger and more unified than ever, and at this point that really just seems like obvious Russo Swerve(TM) fodder. Also, the f*cking camera person was incapable of holding the damn camera still. Either that, or they filmed this interview on a camera that they had swinging from a pendulum (which is still stupid, but just shifts the blame from the person operating the camera to the person who made the moronic decision). The story here was that Steiner was bigger and stronger than Petey but Petey was faster and more agile, so Steiner was winning whenever power moves were going on but Petey was winning when he was able to do his X-Division stuff. 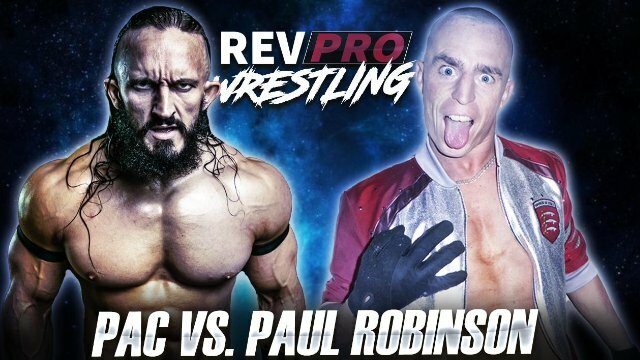 The problem with this is that it makes Petey- the babyface seeking revenge on the former friend who betrayed him- look like an idiot for still trying to be "Maple Leaf Muscle" (complete with Scott Steiner facial hair and chainmail headdress). Steiner controlled a lot of the match, but was generous enough to let Petey survive a Steiner Recliner (Steiner doing mover moves mostly worked over Petey's back, which was another component of the story they told). Then Scott won by busting out a freakin' STEINER SCREWDRIVER IN 2009. AWESOME! POST-MATCH SEGMENT - Bad. Steiner cut a promo burying the Frontline as being inferior to the Main Event Mafia. He want to attack Petey, but Samoa Joe's music started to play. Rather than coming out to attack Steiner like everyone expected, Joe eventually showed up on the PandaTron and swore vengeance on Steiner and MEM, promising that Steiner would be the first one introduced to his "Nation of Violence." Yeah. This crap is coming. Joe's video promo ended, and I guess Steiner just forgot all about his intention to attack Petey Williams because he just didn't do it. JEREMY BORASH INTERVIEWS MICK FOLEY & STING - Fine. Foley is both going to be on commentary during the main event and will also be the one to "officially present" the title to the winner, because that's apparently a job that needs a special appointee to do. Foleys says he hopes Kurt doesn't win. Sting says he won't let Foley disrespect a member of the MEM. Foley says he respects all four men as competitors but doesn't care for Kurt as a person. Sting is okay with this and thanks Mick for putting him over. Mick leaves, so JB asks Sting about the main event. Sting, like Angle before him, said that the MEM would still be together no matter who wins. Notably, Sting insisted that they were fighting for "what they believe in" which would help to differentiate himself from Kurt over the next few months. BRUTUS MAGNUS PROMO - Meh. His delivery was good but there is an crippling irony in a man insisting to us that he is not one of our racist American preconceived stereotypes of British people but rather is a "modern day gladiator" while decked out in gear that is a painfully clichéd and stereotypical gladiator outfit. And really... which moron decided that he should wear this ridiculous outfit? 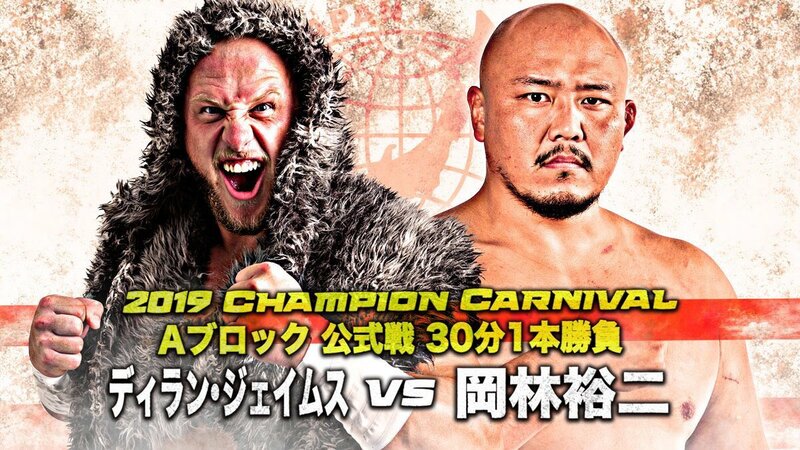 It's like TNA Creative doesn't understand that "modern day gladiator" is a f*cking metaphor and they think his character actually fights lions at the Colosseum and have dressed him accordingly. These guys had a pretty good match for the time they were given. Once again, though the finish was oddly abrupt, as it felt like Sabin's comeback had just started when Magnus shoved the ref into the ropes to knock Sabin off balance, then hit his finisher and got the win. This match also featured a totally unprompted "FIRE RUSSO!" chant (well... unprompted by anything that happened in this match. Certainly not unprompted based off of most of the past two years of Russo's work in TNA). LAUREN INTERVIEWS TEAM 3-D - Great! This was an excellent contrast to Angle and Sting's promos, simply because unlike those two, you could actually believe that Brother Ray and Brother Devon when they said they would be a stronger unit after tonight, no matter who won. Both of them cut relatively lengthy promos and both were very good. Brother Ray then told Lauren to follow them because they were going to go speak to Sting. The Kongtourage had come out to ringside with Kong in defiance of Jim Cornette's orders so Cornette came out and told them that if they remained at ringside, Kong would be stripped of the title. They left, but Kong went after Cornette, and ODB attacked Kong to save Corny, starting off the match. It's nice to see an authority figure actually have teeth, but at the same time, this felt like something you do on TV, not something you spend PPV time on. Kong then won cleanly in five minutes. LAUREN COVERS THE MEETING BETWEEN TEAM 3-D & STING - Confusing. Brother Ray tells Sting that the fact that Sting watched his MEM buddies beat him to the point of hospitalization but didn't join in is what allows him to stand here and calmly talk to Sting man to man. Um... didn't you say a few weeks ago on Impact that that very fact actually made you angrier at Sting than the guys who actually put you in hospital? Brother Ray said that the fact that Sting didn't participate in the beat-down shows that "the old Sting" is still in there somewhere. He then said that Sting could "redeem" himself tonight if he were to "do the right thing" and that if he did "do the right thing," Team 3-D would have his back. I have absolutely no idea what "do the right thing" means in this context. It really sounds like Brother Ray is trying to get Sting to lie down for him or Devon, but that can't possibly be right, as that would make our babyfaces into manipulative heels, which I'm pretty sure isn't the case... but other than lying down for them, I'm really not sure what "do the right thing could mean. In the only good bit of this, Brother Ray reinforced the idea that Sting stands for honor and respect while Kurt stands for greed. Lauren informed Sting that during the last match Kurt had told her to let Sting know that Kurt wanted to talk to him. Sting replied "I'll talk to Kurt on my own time." 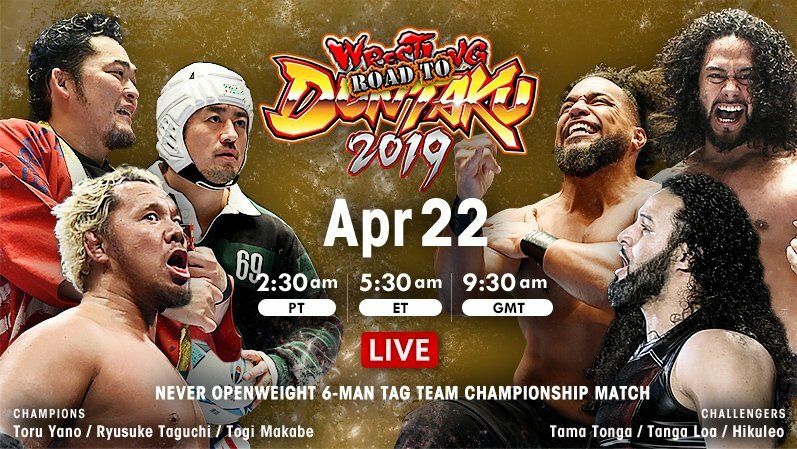 For each championship match they have had a "tale of the tape" deal with the same exact background graphics but each with a different goofy name. This one was called the Legends List, although, in typical TNA fashion, someone forgot to put a space between the two words on the graphic. Also in typical TNA fashion, Mike Tenay showed is incompetence, talking about how Booker had disrespected Shane Sewell by "refusing to learn his name" and instead calling him "Shane Stool," completely missing the fact that Booker was making a poop-related insult. POST-MATCH SEGMENT - Good, but... Booker cut a promo on Sewell and stood over him threateningly. AJ Styles' music hit and AJ made his big return from an injury suffered at the hands of the Main Event Mafia. He won a brawl with Booker T and picked up the TNA Legends Title, but cut an AWESOME babyface promo about what it means to be a legend. This would have been an excellent segment to do on TV to set up AJ Styles vs. Booker T for the TNA Legends Title on a PPV coming up in a week or two. It was not a particularly good segment to do on a PPV. AJ's promo felt like it went on longer than the match itself did. LAUREN INTERVIEWS MATT MORGAN - He yells at Lauren (Abyss' love interest) and cuts a promo telling us how he's going to obliterate Abyss tonight and threatens to attack Lauren if she comes near the ring. This was a fine promo. They did a spot early on where the referee prevented Abyss from using a weapon... and then almost immediately just started brawling on the outside and through the crowd for several minutes. While this crowd brawl was happening, Morgan began to choke Abyss... and the referee began to count for him to break it. If you want to have a match with DQs but not count-outs, I'm fine with that. Just tell me in advance that those are the rules. They got back to the ring and Abyss started throwing a bunch of weapons into the ring. Then he grabbed a chair and tried to get into the ring with it but the referee took it away from him. Abyss argued with him about this, allowing Morgan to cut him off, and making Abyss look like an idiot. Morgan got the heat, Abyss made his comeback... and the same thing happened again. Abyss then put a chair flat on Morgan's stomach and went for a sitting splash but Morgan repositioned the chair so that Abyss would land crotch-first on the side of the chair. There were two problems with this spot. First, while landing balls-first (or even taint-and-tailbone-first) on a steel chair at that angle with cause Abyss great pain, it would not prevent the chair from being driven down into Morgan with all of Abyss' momentum behind it. While Morgan's strong arms positioning it upright would certainly prevent some of the force, it probably wouldn't be enough to make the force negligible, and the fact that the chair was now positioned with one side-edge at Abyss' taint meant that the other side was still on Morgan's chest, and while there was less force driving the chair down due to Morgan's arms trying to hold it in place, there was also now making contact with a smaller surface area of Morgan's body, which would therefore increase the pressure on Morgan in those places. Morgan chokeslammed Abyss onto the chair for nearfall. Morgan now repeated Abyss' mistake of trying to use a chair in front of the referee and then getting cut off while arguing with the referee. Abyss then grabbed the chair and went to hit Morgan with it but Morgan pulled the referee in the way for a ref bump. Black Hole Slam onto a chair for a false finish after a new referee comes out shockingly quickly. The second referee went to check on the first, allowing Morgan to hit Abyss in the nuts. Then Morgan went for a move and Abyss just hit him with the Black Hole Slam and got the pin. This was not good at all. 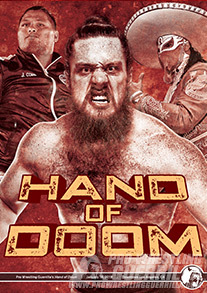 The story the announcers tried to sell us on was that Abyss was being so focused on using weapons when he wasn't allowed to and that this kept coming back to bite him (and the finish was supposed to show that he did not need the weapons to win matches). The problem was that Abyss never felt in any way obsessive in his desire to use weapons. He felt like any regular old babyface trying to use a weapon on his hated enemy. Every time he made his comeback he didn't immediately go for a weapon but rather would home some regular moves, then go grab a weapon and the go milk the crowd with the tease of the weapon shot. These are not the actions of an obsessed crazy person. The idea that the finish showed that he didn't need weapons to win is undermined by the fact that claiming that the Black Hole Slam onto a chair he hit Morgan with just a moment earlier did not do significant damage to Matt Morgan and aid in Abyss' victory is ludicrous. POST-MATCH SEGMENT - Bad. Abyss got his big back of thumbtacks. Don West laughed jovially at this. He ripped Morgan's shirt off, exposing the wound dressing from the surgery Morgan recently had for an infection in his shoulder. I just saw Abyss beat this guy. I don't understand why I'm supposed to want to now see Abyss throw him into thumbtacks. Thankfully, Morgan escaped. MAIN EVENT MAFIA BACKSTAGE - Fine. Nash, Steiner, and Booker acted in an extremely over the top manner. Then Sting and Angle had their chat. Kurt tries to convince Sting that the MEM are his friends and Team 3-D are only trying to manipulate him. Kurt wants him to make a pact that no matter who wins tonight, the MEM will be as strong as ever tomorrow. Sting agreed, they hugged, and Sting left. Kurt then ordered Nash to keep an eye on Sting. TAG TEAM TITLE VIDEO PACKAGE - "The equation makes sense. Consequences Creed times Black Machismo equals a fundamental concept that even Robert Roode and James Storm can't understand." WHAT?! The whole video package is worth watching for yourself. It's truly a wonderful example of someone who thought they had a REALLY cool idea, but very clearly did not. Team 3-D entered together while Angle and Sting entered separately. Every entrance included the Goldberg-style walk all the way from the back, plus a highlight package inserted between the time they approached Gorilla Position and the time they came out of the tunnel. Plus an entrance for Foley, plus official intros from Borash. And that's all after a video package that lasted two and a half minutes. The entrances took well over eleven minutes, and when combined with the video package, it was almost FOURTEEN minutes from the time we cut away after the tag title match. 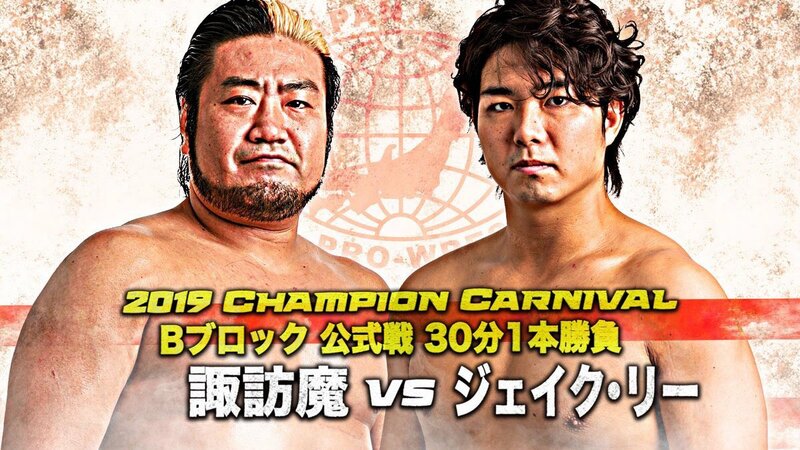 For comparison, this big main event itself only went 14:36, and the pre-match festivities in total were longer than each of the first five matches on the card. That's what I call an inefficient use of time. Team 3-D, the babyfaces, were not only willing to not break up each other's pins, but the moment they were alone in the ring together, Brother Ray laid down for Brother Devon. Thankfully the heels were there to stop the babyfaces from f*cking the fans out of an honest ending to a world title match. Vince Russo, everyone. The next time they were alone in the ring together, rather than one lie down for the other, they started exchanging, slow, dull and weak-looking waistlocks and hammerlocks. I know what you're thinking, but these waistlocks and hammerlocks looked pathetically bad, to the level of being offensive. This was two guys playing wrestler, not two athletes competing in a sporting event. This also brings up another issue: if they've already shown that one of them is willing to lie down for the other, why doesn't one of them just submit to one of these hammerlocks? That's just as effective as lying down, it's even harder for someone else to break up. They then start shaking their heads, as if wrestling holds had no place in a wrestling match. They then just started punching each other in the face, followed by other strikes, and many of these looked ridiculously weak as well. They did a lame indy standoff, which the TNA crowd cheered. I wasn't cheering until the heels ran in and attacked them from behind, because that temporarily removed the possibility of me getting f*cked out of a legitimate finish in a world title match main event. A lame brawl continued out the outside and into the crowd. The babyfaces were the ones trying to use weapons. The heels got them back into the ring and immediately we got Sting locking Devon in the Scorpion Deathlock while Angle had Brother Ray in an Angle Lock. Ray pushed Kurt off, sending him into Sting, and all of a sudden they're staring daggers at each other. Why? I remember them each saying that the best man should win, not promising to not attack the other. The babyfaces took advantage of the situation by shoving Kurt into Sting from behind, and they bonked heads, busting Kurt open. Then Brother Ray put Sting in some sort of leg lock while Brother Devon put Kurt in a the Walls of Jericho ("Professor" Tenay incorrectly called it a Boston Crab, but it's not a Boston Crab because Devon was not seated or close to seated on Kurt's back, hence making it an Elevated Boston Crab, A.K.A. the Walls of Jericho). Kurt managed to crawl onto Sting for a nearfall but Sting got his shoulder up. They did this twice. Then Kurt kicked Devon off of him and went for the same pin again with the same ineffective result. Kurt then took out Brother Ray and we got the big face to face between Sting and Kurt. Kurt immediately began to work over Sting's knee... and then Sting just got up and stopped legging it so he could go on offense. Kurt cut him off with a single-leg into an Angle lock but Team 3-D broke it up. They double teamed Kurt until Sting saved him. Stuff happened. Devon got a nearfall on Kurt, then Brother Ray gave first Devon and then Sting a Rock Bottom for a nearfall. I think the failure of this match stemmed from two related points. The first was a key misunderstanding of the babyface attitude in the situation set up by the storyline going in. All of the promos pushed the idea of "working together" to ensure that one of them became champion, which was intended to work as a foil for Sting and Angle, who we are supposed to believe only had interest in giving lip service to that idea and that even if one of them won fair and square, the other would in reality be upset about it. In this situation, though, the proper babyface attitude should be one where the idea of "may the best man win; no hard feelings" is emphasized, and cooperation is something that will be utilized to that end in order to combat collusion among the heels or perhaps even eliminate other competitors so that our babyfaces can then settle it fairly amongst themselves. These ideas might seem similar, but the distinction between where the emphasis lies is important because the first one pushes a scenario where the individual glory is set aside, which devalues a singles title, and even worse than that, one where a Fingerpoke of Doom scenario is framed as moral. 2. The cause of getting the title away from the MEM is so important that it is worth resorting to such a dishonest tactic... in which case why did they stop? 3. The cause of getting the title away from the MEM is important enough that it is worth resorting to such a dishonest tactic, and the reason they're not continuing it is because they have pulled back from that plan due to a desire for personal glory... which damages the storyline because that is exactly what this is setting up the heels to be guilty of. One other factor that I think hurt this match was Brother Ray and Brother Devon's presence. The idea is cool, but they never felt like plausible victors. I would normally have no problem with that if it moved the story along effectively, but not only did it not really do that, but their performances were also rather sub-par. This was a bad show from TNA, but not for the usual TNA reasons. 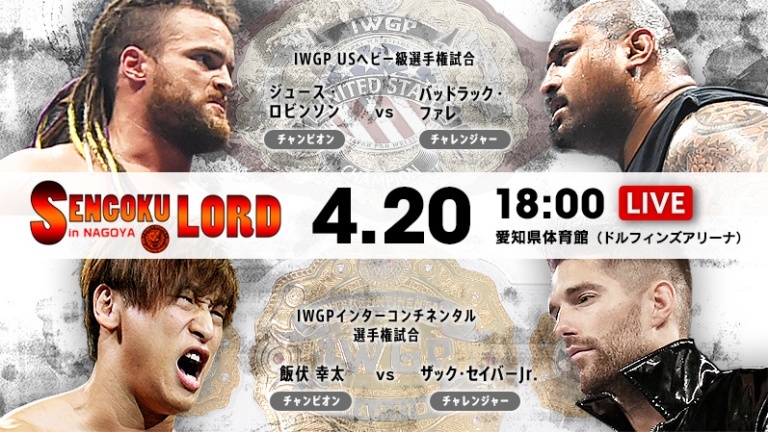 A lot of the stuff we got here other than the main event and the Abyss vs. Morgan match was decent for what it was, but it just felt misplaced. Going backstage after almost every match to follow up in some way on the storyline leading into the main event did give this show something of a pleasant touchstone narrative, but in the end, it, like AJ's promo, ate up way too much PPV time, and when you throw-in the other things that were effective segments but still ate up time like the bit at the beginning of the Knockouts' Title match or the promos by Joe and Magnus, it really ate into the time that should have gone to wrestling. As a three-hour PPV, this was very bad... but while I was disappointed with the matches constantly feeling like they were getting shortchanged on time, I was also struck by how much this felt like an episode of Impact rather than a PPV... and I think that (with a restructured main event, of course), if instead of a three-hour PPV, this was booked as two episodes of Impact (with the remaining hour being allotted to the matches, plus whatever they felt necessary to do with the stupid Beautiful People vs. The Governor & babyface women feud that was going on), this probably would have been two pretty solid episodes Impact to build up to what eventually became the Destination X 2009 PPV, much of the major storyline points for which are established in the post-match segments or results of this show. So I made another bad choice for this series. Drat. I guess there was a reason it took me so long to get around to watching this show. Next month, however, BRM's Monthly "This Day in Wrestling History" Review Series (yeah, I've decided it all gets capitalized now) reaches its one-year anniversary, and I have already taken steps to ensure that I pick a slam dunk of a show. In fact, it's one with stuff on it that's so good that odds are you've seen the two most famous matches already.